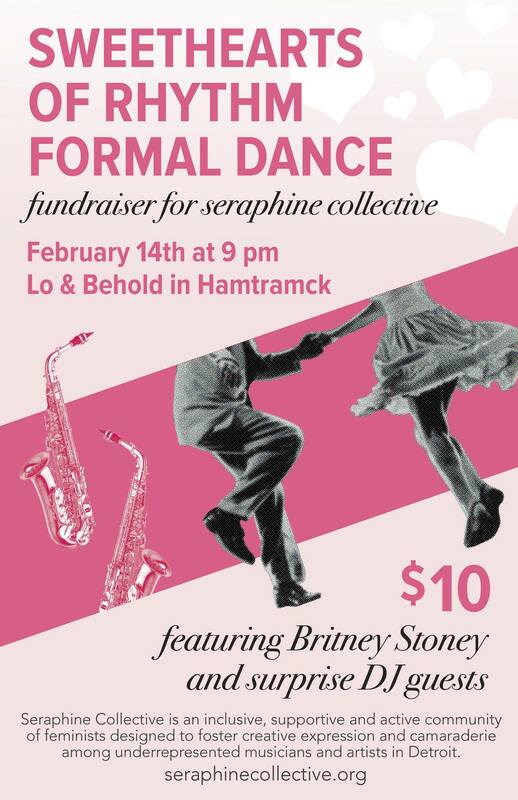 Join us for a formal dance and fundraiser on Valentine’s day in honor of the International Sweethearts of Rhythm–the first integrated, all women’s band in the United States. Bring your dancing shoes. Featuring live performance by Britney Stoney and special DJ guests! Champagne will be available, first come, first served! ALL proceeds go to benefit Seraphine Collective, an inclusive, supportive and active community of feminists designed to foster creative expression and camaraderie among underrepresented musicians and artists in Detroit.